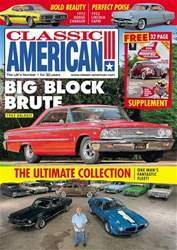 Time is flying by and here at Classic American we’re already planning the upcoming summer of show coverage and attendance. 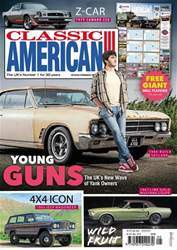 Big news for the Car of the Year series is the announcement of RH Insurance as new sponsors for the competition, with Kingstown Shipping returning as co-sponsors. Details are still being finalised as to which events will be heats; however I’d like to take this opportunity to thank both Kingstown and RH for their support in making the competition possible again for the coming year. 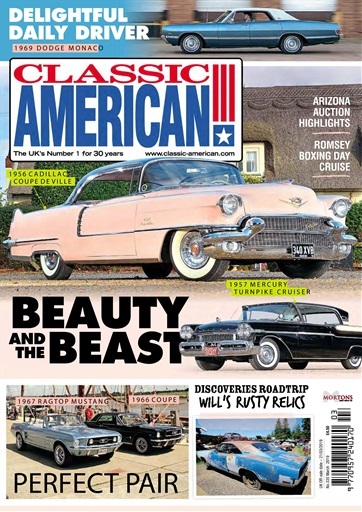 This month’s magazine contains our usual smörgåsbord of widely differing American vehicles – everything from a Forties Australian-assembled Chevy truck to a magnificent ’57 Mercury Turnpike Cruiser and a brace of evergreen Mustangs, plus a gorgeous ‘56 Cadillac Coupe de Ville. 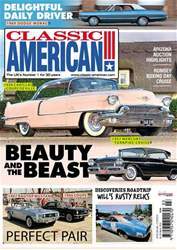 you’d like to see your show or event listed, send it in by post, email or fill in the online form at www.classic-american.com.